When I signed myself up to take the two classes at Happy Knits with Joji. I had no idea what I was getting myself in to.It turned out it was a weekend of “AWESOME”. 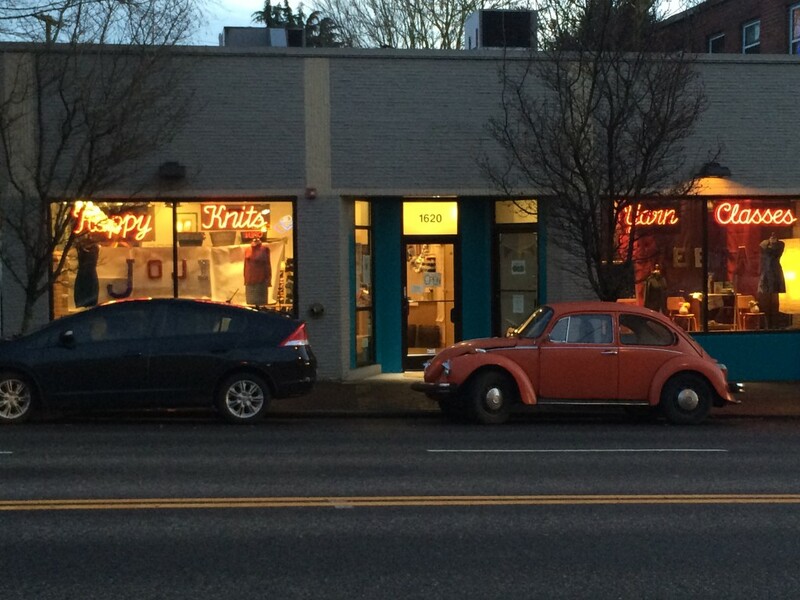 I drove down fro, Seattle with my friend Ariel on Friday and arrived early, so it was an easy call to visit some Portland’s local yarn stores. 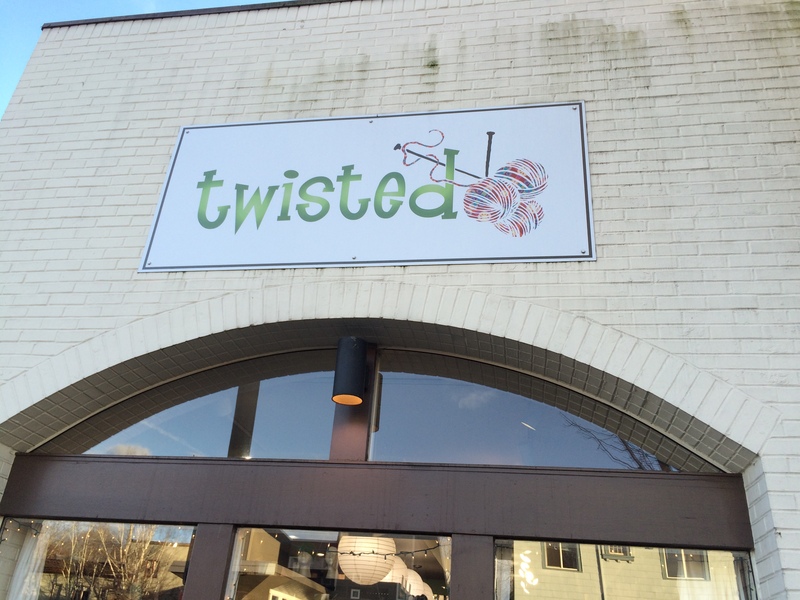 First up was Twisted. 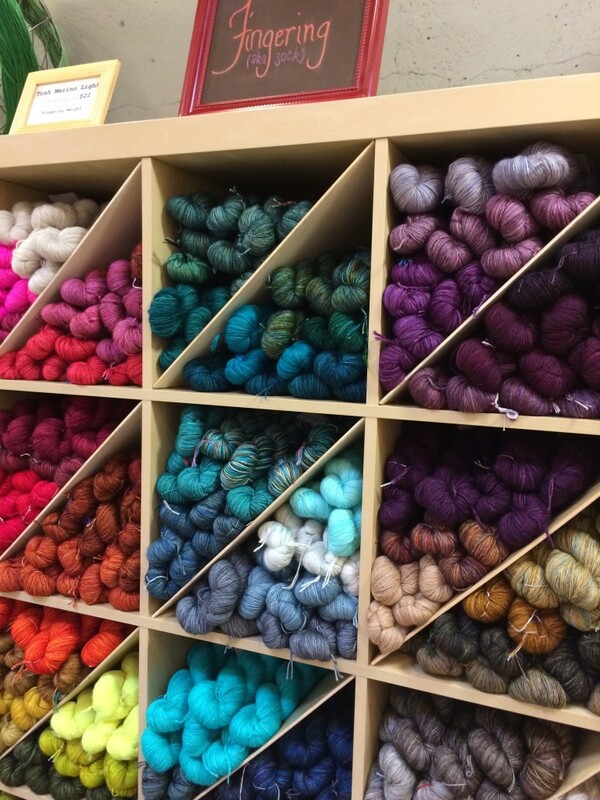 It was a very nice place I have to say I have been to my share of yarn stores and I have to say that Portland has it “going on” in this department. Simply put, Twist is beautiful. 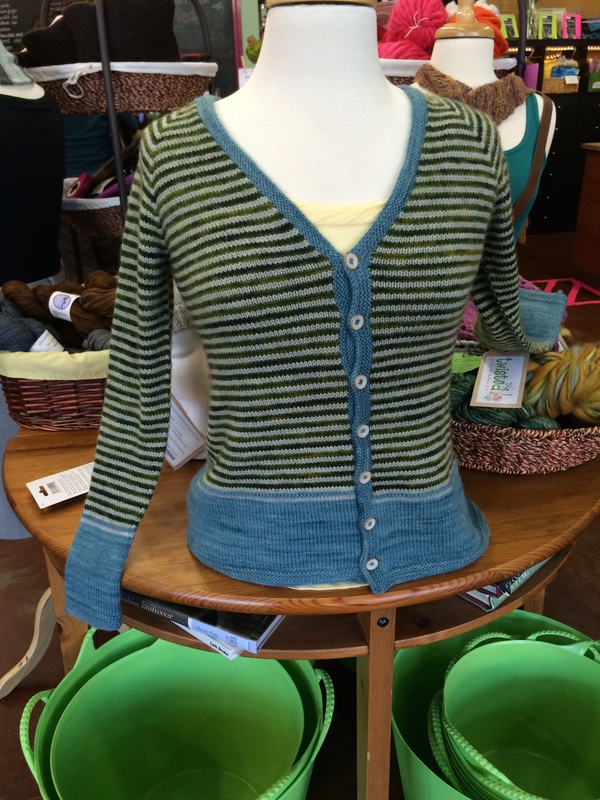 They have a wide selection of colors and indie dyers. What impressed me the most was the amount of colorways they stocked and the quantity that they keep on hand. 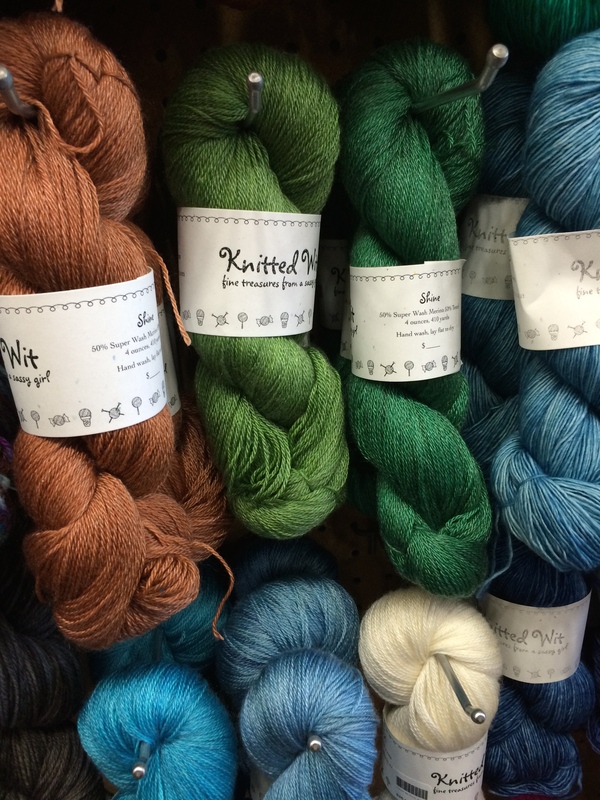 Just some of the yarns that I got to see were Blue Moon Fiber Arts, Knitted Wit, Hazel Knits, and Quince & Company. I could go on (because there were a lot) but I will stop there because I have to talk about what really caught my eye. 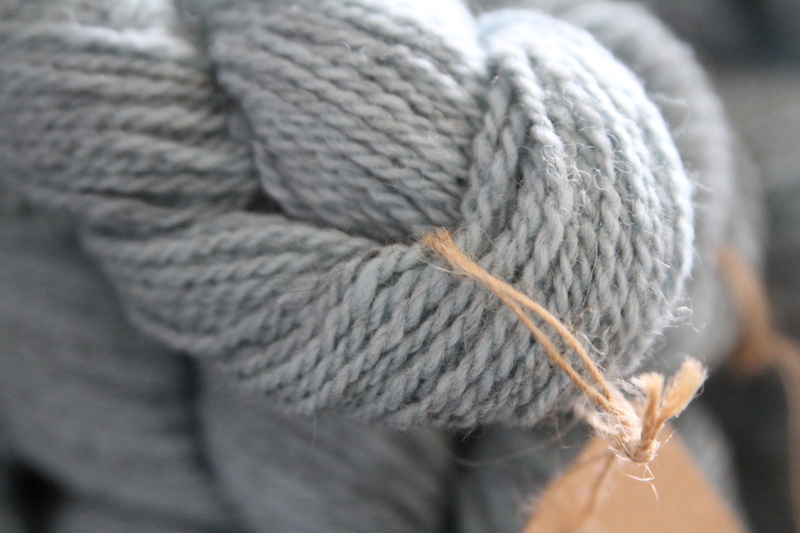 I have been trying to get some Quince Owl in the “Cielo” colorway from a local LYS and the couple times that I have visited they have not had it in stock or the quantity that I was looking for. 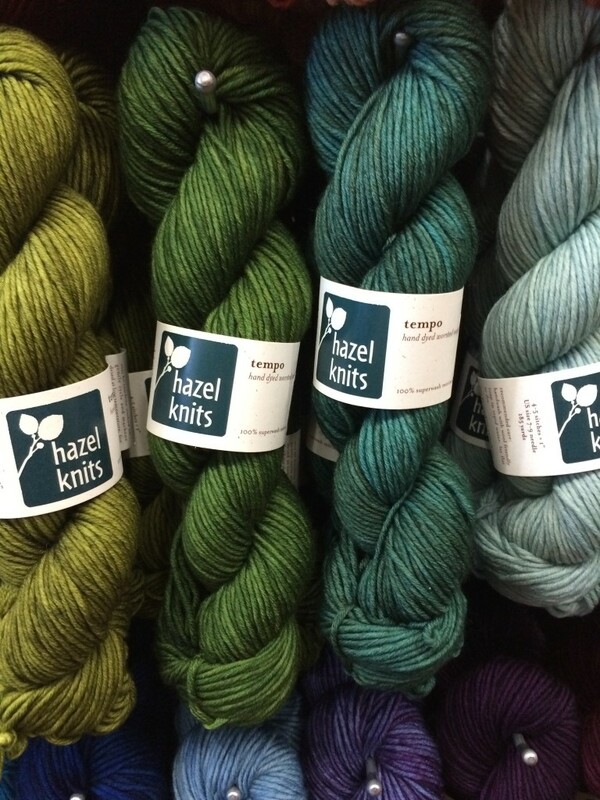 Needless to say I had to snap up some skeins of that yarn. 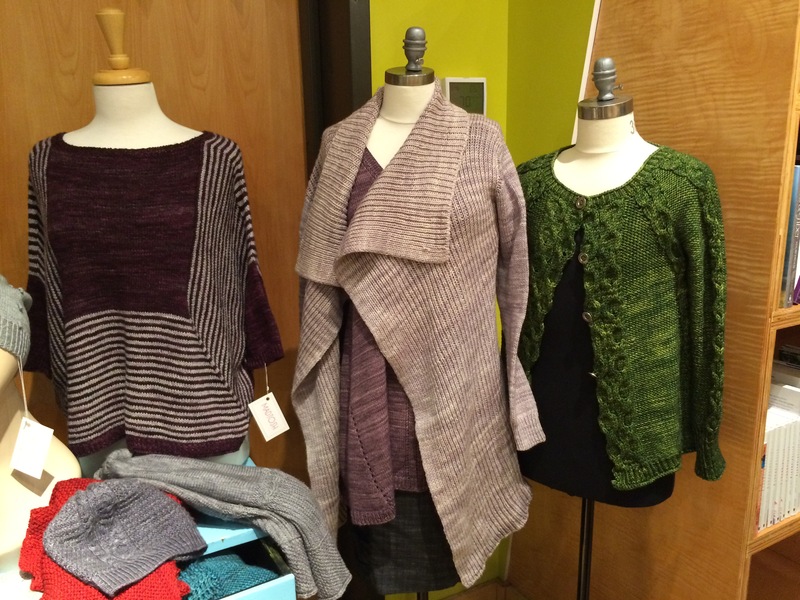 Hazel Knits at Twisted, the selection and inventory was pretty amazing. One of the sweaters that I have been wanting to knit is the Hazelwood Cardigan which is one of Twisted’s shop patterns. I really love this sweater and have every intention of making it this year, infact have even swatched for it. Needless to say when I saw the mannequin in the shop I was very intrested in seeing it up close. The helpful ladies at the shop who they call “Twistedistas” took the mannequin down and let me inspect it. It was a real treat. I was able to see how the details and design elements came together and check out the overall shape and construction of the garment. I am super excited to knit this sweater. 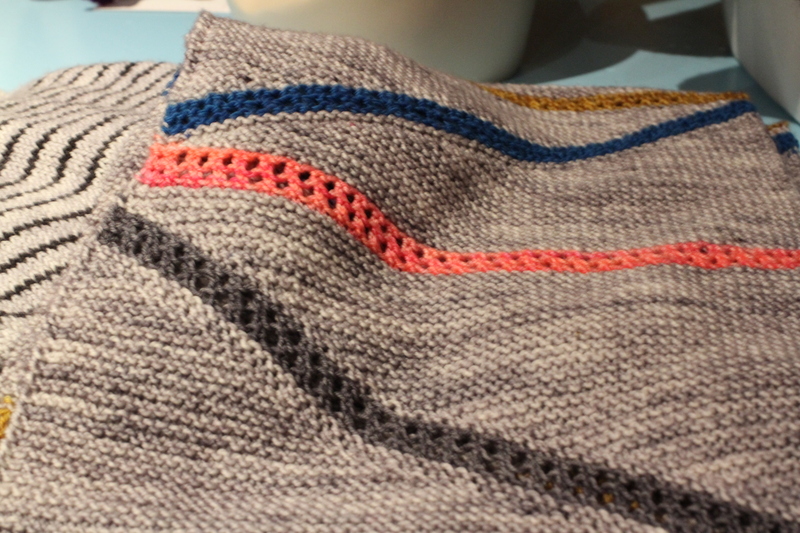 I think it will go very fast, but I have a few things on the needles that I need to work through first. 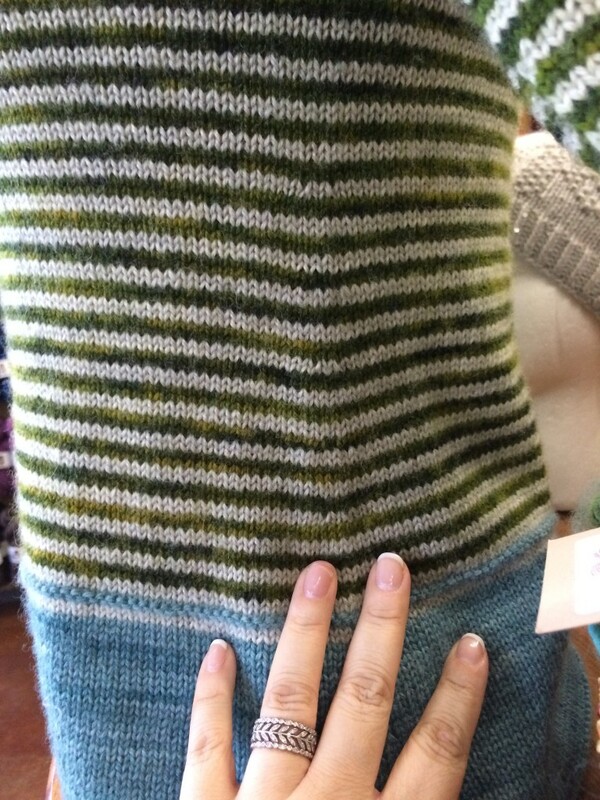 Next up was Happy Knits…. after finishing up at Twisted I headed over for a meet and greet event with Joji and Veera at Happy Knits. While I can be outgoing at times I have to admit that when first meeting people I sometimes have a bit of anxiety(yes its true) and can be a little more reserved. Knitters are so welcoming though so this feeling usually doesn’t last too long. Joji and Veera brought the samples from their original “Interprations” collection. I am so going to make this! 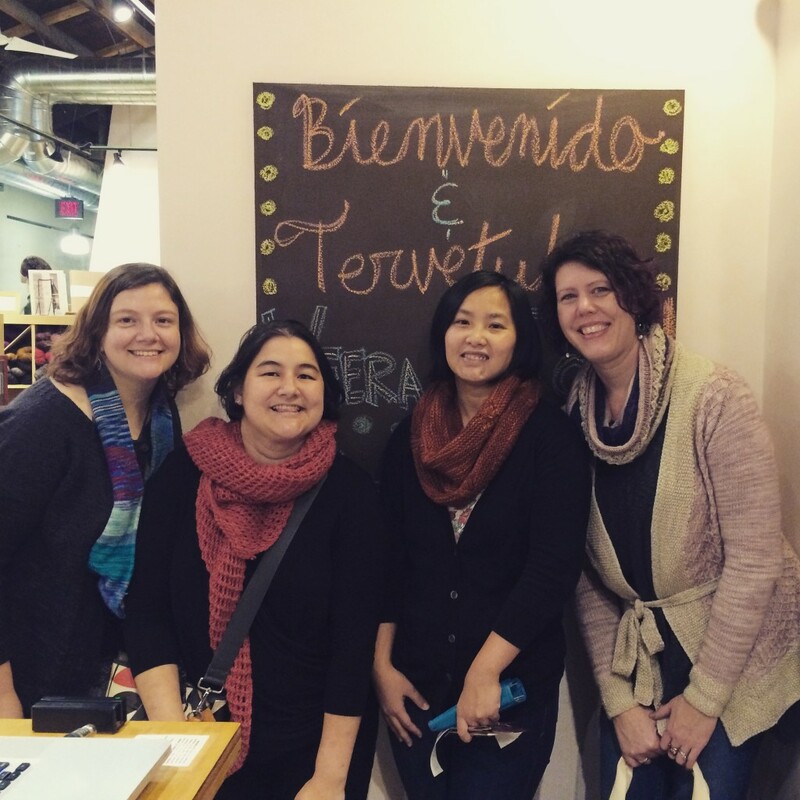 In this case I got to finally meet some friends and some people I had seen or interacted with on Ravelry. It was a really great evening all around. 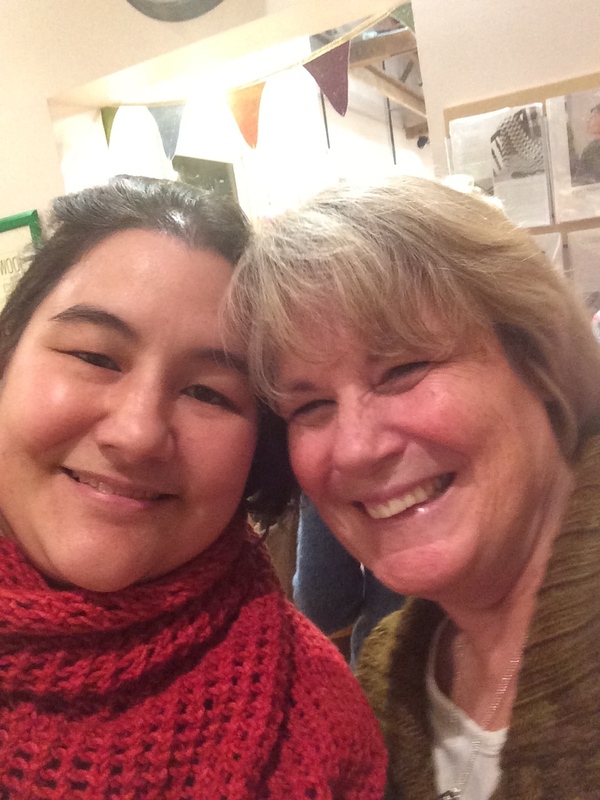 Nancy and I finally met after 3 years of PM’ing and chatting on Ravelry! < Previous PDX or bust! Did you seriously only buy one SQ on your trip to Portland? Or is that all your bought between these two stores? Smyoo- I have to tell you I kept looking for the love button! I loved seeing your pictures and reading your descriptions. Thank you for doing this!!! its awesome to read and inspiring too. time to go knit!